“SLIPPERS for SPROUTS” children’s slipper drive! We are collecting NEW children’s slippers to be donated to the Child Life Program at Children’s Medical Center – UMass Memorial Medical Care which is the only children’s hospital in Central MA and is located in Worcester, MA. Every pair of slippers donated will be given to a child being treated at the Children’s Hospital. The Children’s Hospital includes a 30-bed inpatient unit, a Neonatal Intensive Care Unit, and a Pediatric Intensive Care Unit and with more than 200 medical and surgical experts in more than 30 specialties, they devote their expertise to the care of infants, children and adolescents suffering from life threatening, and non-life threatening, ailments such as those with cancer, kidney problems, heart disease and diabetes, as well as those who need surgery and anesthesia. If you would like to donate to this great cause, please contact Brandon at (978) 537-9900 ext. 114. Or you can stop by our office which is located at 285 Central Street, Suite 214, Leominster, MA. 01453. Always On Call Health Services®, Inc. collects non-perishable food items each year to benefit those in need during the Thanksgiving holiday season. Every little bit will help those who are less fortunate. 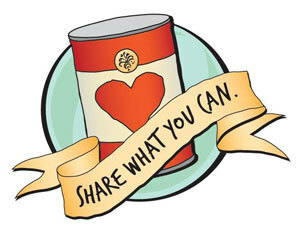 To donate, bring non-perishable food items to 285 Central St., Suite 214, Leominster MA, 01453. Always on Call Health Services®, Inc. will be collecting new and unwrapped toys, clothing, and householdd items to help women and children that are the vistims of domestic abuse. We collect these items through the second week in December each year. Every little bit will help those who are less fortunate. 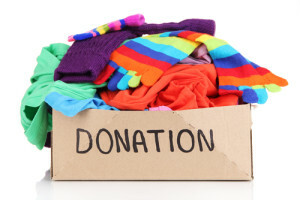 To donate, please bring a new and unwrapped toy, piece of clothing, household item, or other necessities to 285 Central St., Suite 214, Leominster MA, 01453.